Instagr.am is a popular photo taking and sharing application for Apple's iPhone. You can basically use it to take snapshots with the phone's camera and send them directly to sites such as Facebook, Twitter or Flickr. It comes with other social features that make it that more enticing to a crowd that likes to socialize on the web. The photos have a distinct look and feel which may be one of the reasons for the application's popularity (besides from being free). 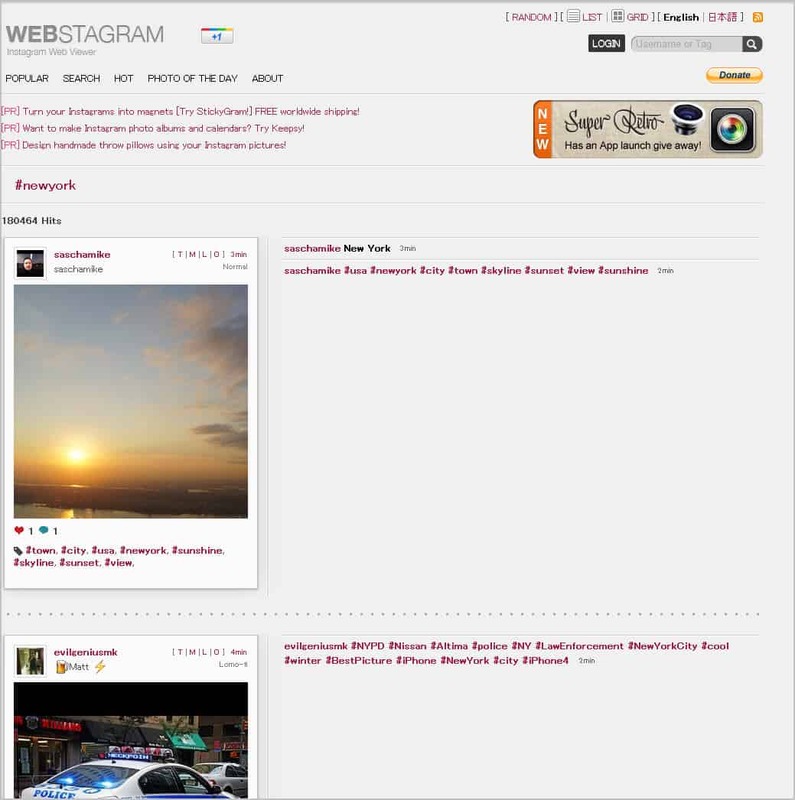 Webstagram is a web viewer and search engine for photos taken by Instragram users. You can just dive into the popular or hot listings on the site, or use the search to find photos taken by a specific user or by tag. Each photo that you see on the Webstagram website actually links back to the Instagr.am website where you can view it in tiny, medium, large or original size. The Webstagram page itself lists comments and likes directly on the page which are also taken from Instagram. Users can log into their Instagram account to use part of the functionality on the web viewer's site as well. The site serves three main purposes. It first can be used by Instagram users for inspiration. Ever wanted to see what the iPhone app is capable off? Look no further than the popular or hot listings on the site. The second purpose is as an image search engine and viewer, and the third to use features of the service on the website. Instagram users can for instance view the photos that people they follow have taken. They can furthermore follow and unfollow users, use social faetures such as like and comment, or see their own followers and the people they are following. The search functionality is available to all users, regardless whether they are just visiting or logged in with their Instagram account. Try FindGram, easy way to search for instagram photo.